Located just a few steps from Piazza Santa Croce and within close walking distance to the Ponte Vecchio, Toricoda offers a unique Tuscan dining experience in the heart of Florence. 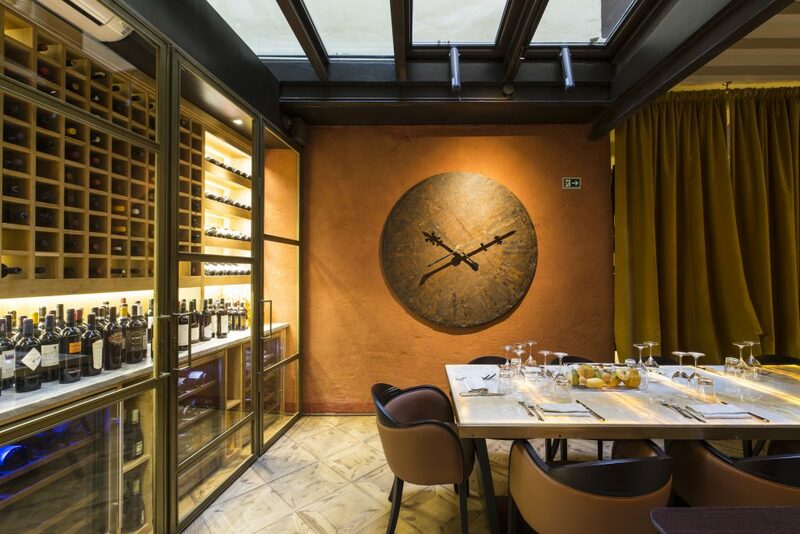 Founded by Stefano and Matteo Peruzzi, who share a great passion for food and wine, Torcicoda proposes two unique dining options: a pizzeria with a wood oven as well as a gourmet restaurant with the best Florentine steak, a full bar and a cantina with over 300 wine labels. The menus and selection are characterized by high quality, authenticity and research. The space, realized by Luigi Fragola Artchitects, is divided into different spaces in the same building, each dedicated to it’s own vocation and atmosphere. The gourmet restaurant is characterized by warm colors, rich fabrics and researched details. 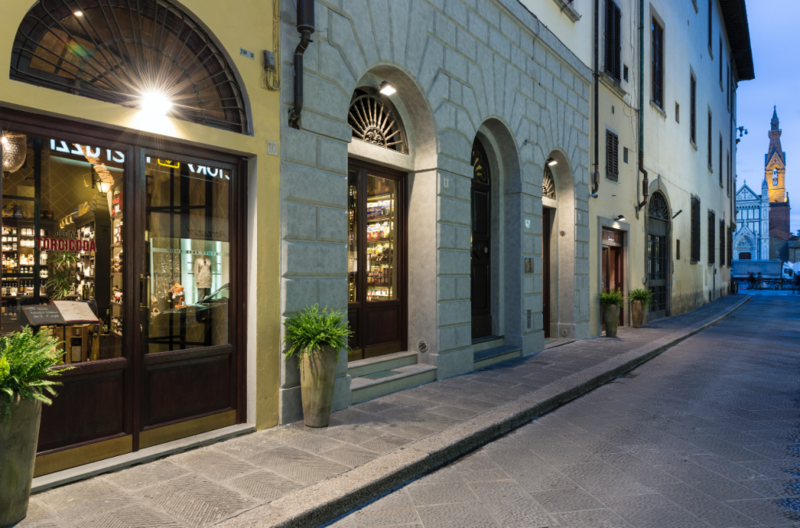 Classic elements of Florentine architecture are blended with contemporary furniture design to create a perfect balance between past and present. 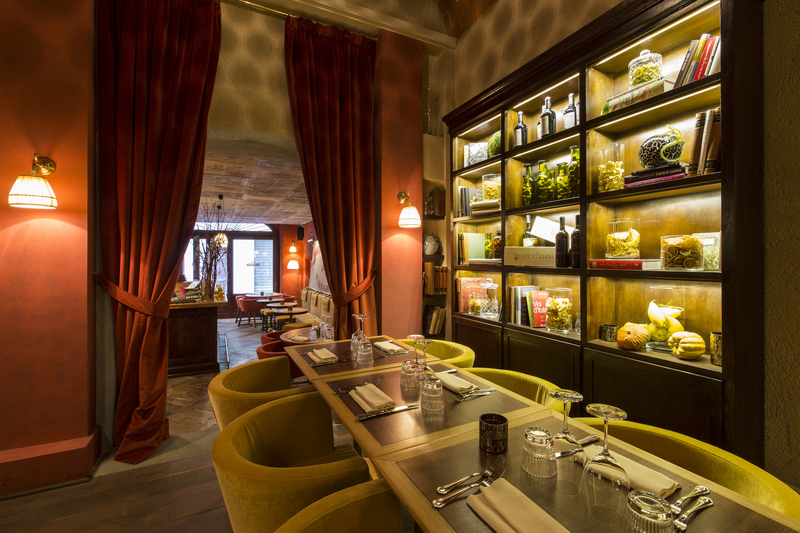 The enoteca has tall bar seats and wine filled walls, a perfect space for trying wines in a modern enviroment. 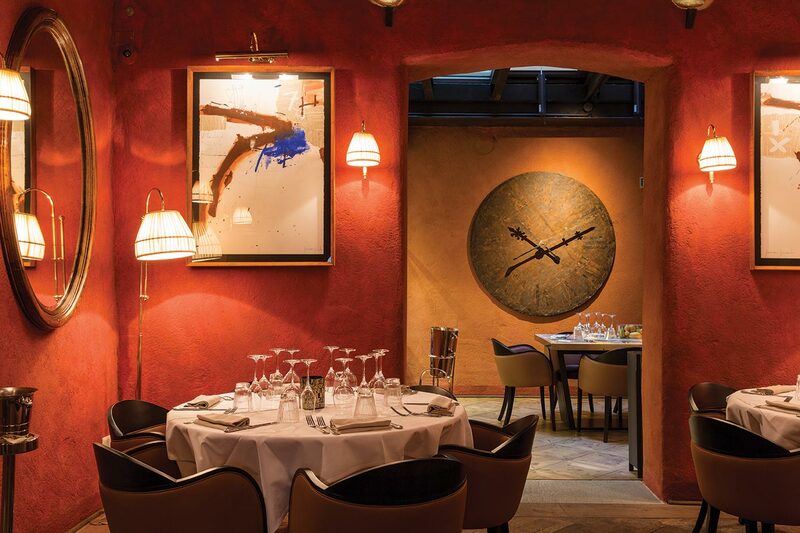 Downstairs, there is a private dining area with an elegant living room with warm and enchanting color tones. The pizzeria features vaulted ceilings, clean furnishings, and an authentic Neapolitan pizza wood oven. The name derives from Via Torcicoda, the historical name of the present Via Torta, dating back to 300 A.D., where the restaurant is currently located. The space has other historical roots as well, the underground dining area was once a part of the prison of a Roman amphitheater. Stay up-to-date with the latest updates and happenings at Torcicoda!